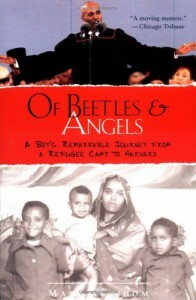 A really inspiring book about a child refugee from Ethiopia to America, his family's struggles and triumphs, and his transformation from a rather violent mischievous boy who eventually "grew a heart" as he grew to manhood. His father's story, and that of his older brother, are both quite touching. The book teaches us to enrich our lives and human interactions by noticing and seeing all people for the angels they are. I'd like to read more books by the same author. I really loved the book and found it quite inspiring. The thing that struck me the most about the book is how sad it was that both his brother and father lost their lives here in America to drunk drivers, when they had survived so much war and violence in their home country. That makes me wonder, as an aside, if we don't need to go beyond opposing drunk driving in this country and start opposing drinking itself. Not legally, which doesn't work, but just socially start making it unacceptable, the same way smoking has become less and less acceptable in the U.S. in the last few decades. I wonder if that would actually make a dent in the terribly high number of innocent people who are killed this way each year. Secondly, I took from the book a heightened appreciation for the worth of individuals we meet in our everyday lives. It's really true that there are no "beetles", to use his metaphor, and everyone is an "angel". The most important example was that of his father who was a person of great stature in his home country. He had an enormous impact for the better among all the people he influenced. And he did the same in the U.S. as much as he was able. But our restrictive immigration laws and licensing laws limited the work he could do here. That plus probably a fair sized dose of xenophobia and racism, I would say (though Mawi doesn't mention), gave him a much lower stature in society here in the U.S. So that makes me wonder how much of our precious human capital is being wasted this way? Here was an amazing man, a giant of a man, and yet he was reduced here to the stature of a beetle, in Mawi's metaphor. Even though he still influenced his own family for the good, and his neighbors and friends, yet to society as a whole he was seen as far less than he really was. I wonder what we can do to change that sort of thing? Another example was the homeless man that Mawi's older brother helped. Because of Tewolde's help, the man got a job, got an apartment, and I'm sure he must have regained his feeling of self-worth, of being a useful and respectable person. How many of the people who end up on our streets and in our prisons are those who have been thrown away by their families, never valued, and treated as beetles by our entire society? How many of them have simply believed what they've been taught, that they're worthless? 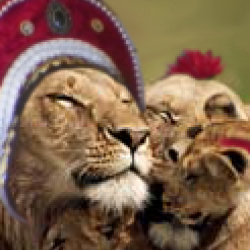 If we all did as Tewolde did and treated them as an angel, I wonder if their lives could be remade. The book inspired me to remember that everyone, absolutely everyone, has a spark of divinity in them, is an open-ended story, and has unlimited potential. If we began to cherish this potential and foster it, think how much richer our lives could be. The book also inspired me because of the tremendous difficulties that Mawi was able to overcome with his positive outlook, hard work, and his determination and faith. Because of that, I got his other book The Code, and i found it to be a practical and easily understood method for getting more out of life, achieving your goals, and becoming who you want to be. Mawi's life story gives authority to his ideas. He's an inspiring person. I hope his business as a youth speaker takes off and brings him much success. I know he's helping a lot of kids along the way.